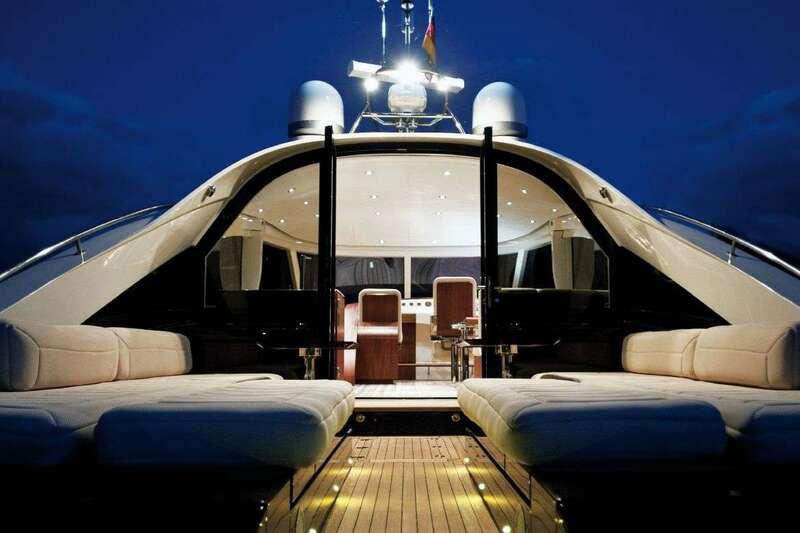 Picture this: a yacht on the French Riviera. Tempted? Currently at auction at France's Artebellum is one of the largest Riva style yachts to ever be built in wood. So hop on board and join us for a cruise. The unique Riva style yacht up for auction at Artebellum, was created by German designer Andreas Grieger, and combines sleek design and technology. The yacht has been built in the traditional way using wood and took a team of 20 boatbuilding specialists close to 50 000 hours to create. Twenty metres in length and 5.5 metres wide, the yacht is equipped with dual engines that allow up to twelve passengers to travel at speeds of up to 32 knots. 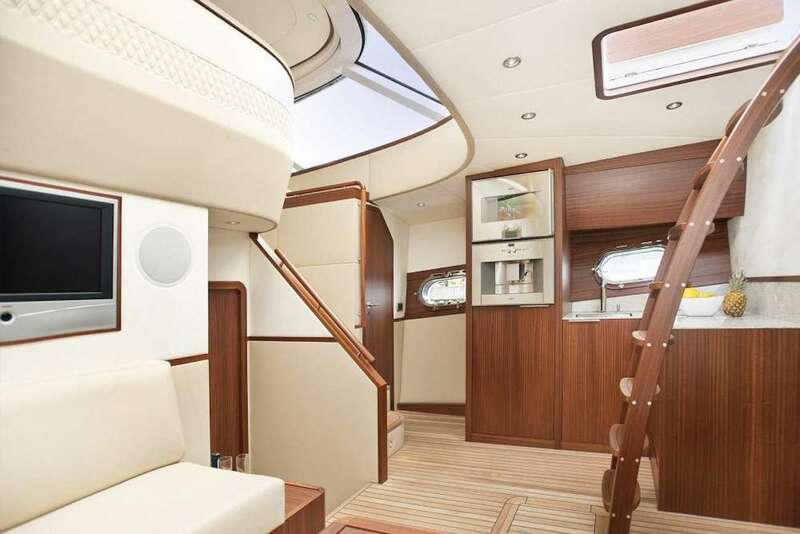 The yacht boasts three spacious cabins with separate bathrooms in luxury natural materials, a unique design-furnished lounge area and a kitchen equipped with everything cooking enthusiasts could need. The beautiful balcony allows the captain to keep in touch with passengers in the lounge area. The yacht has an elegant interior, created by a team of 35 interior architects from Aguti, who worked with shapes and materials to create a harmonious aesthetic. The furniture is made of red mahogany with leather details, in keeping with the use of teak to make the boat. 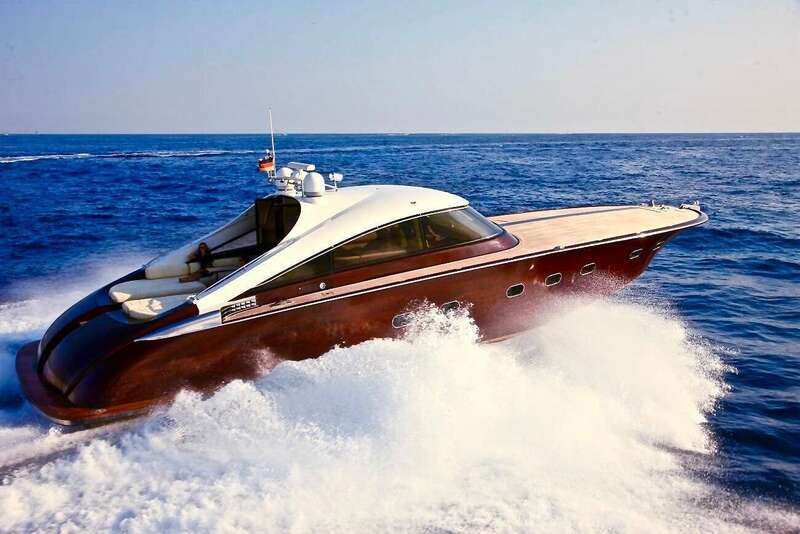 This Riva style yacht has been carefully inspected by independent marine experts. Bidding for the boat began on 19th June and will be ongoing until a bid reaches the hidden reserve price. As soon as a bidder has reached the reservation price, the auction will end ten days after the date of this bid. See here for more images of this unique Riva style yacht as well as plan drawing. Check out Artebellum's website here.